I grew up in a small town in northern Penobscot County Maine. 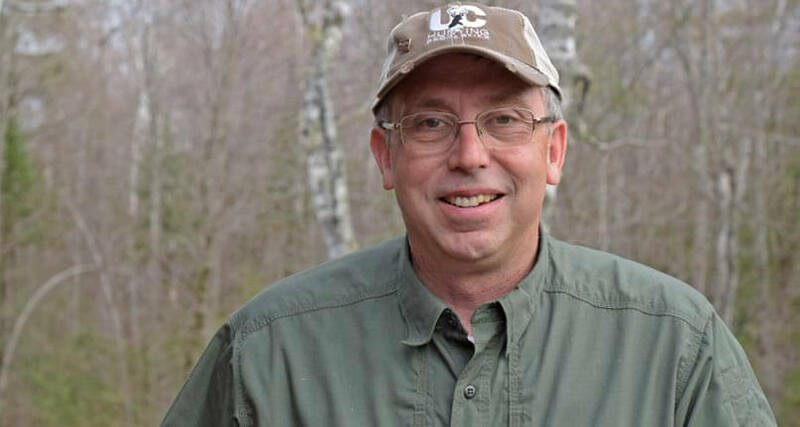 I developed a love for hunting, fishing and hiking through the woodlands that surrounded the small country home I lived in, and it was an early goal to become a licensed Maine Guide. For nearly 2 decades I operated a fall bear hunting operation in the Katahdin region of Maine. 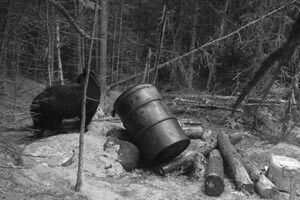 Having helped many hunters fulfill their goals of harvesting a black bear I have learned a few things that may help you successfully take a bear on your hunting land. The first thing you need to know about bear hunting over bait in Maine, is that it is a highly regulated activity. One of the first things you need to do before you set out a bait on your property is read the rules section about bear hunting in the law book. The bear hunting section in the law book tells you when, where and how a bait site needs to be situated to be legal. The person hunting from another person’s stand or blind has the owner’s permission. 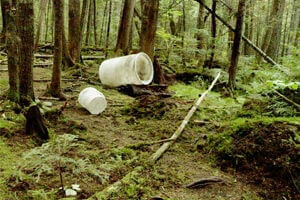 The person placing bait on another person’s land has the landowner’s permission (oral or in writing). What have I looked for in a bait site that met all the legal criteria, but also would lend itself to being a real productive location? I always looked for locations that I could enter the woods with the prevailing wind in my face. In our area, that would be westerly. Bears also like dense cover. I looked for areas that had good unbroken stands of marketable, mature timber. If the area was near a beaver flowage all the better. I would then clear one good shooting lane from my stand to the bait area, and would create some sort of guide to help position the bear on the bait for a broadside shot. Fallen trees, stumps, boulders and other terrain features can be used to help guide a bear into position as well as logs cut to form a sort of crib. A Black bear has a very keen sense of smell, so establishing a new bait site capitalizes on this. I would hang bags of carrion in grain sacks as high in the air as possible. Used French fry grease, grain and pastries are all eaten by bears. Bears will eat just about anything; the important thing is to keep plenty of it available for them and to refresh the bait as often as you can. Depending on the abundance of natural food sources like, berries, nuts and apples, bears will come to baits in varying degrees of urgency. Some years they come to bait better than others. Once you have a bear, or bears coming to your site and it is hunting season, then the greatest tip I can give you is to sit as still as stone on your stand. Bears are very cautious, so you have to be on top of your game when hunting bear over bait. Maine is blessed to have millions of acres of forested land. Within those miles of timber are thousands of black bear. They are a challenging animal to hunt. If you have a tract of hunting property that you want to hunt bear, perhaps these tips will help you to be successful in hunting the black ghost of the Maine woods, the elusive black bear. 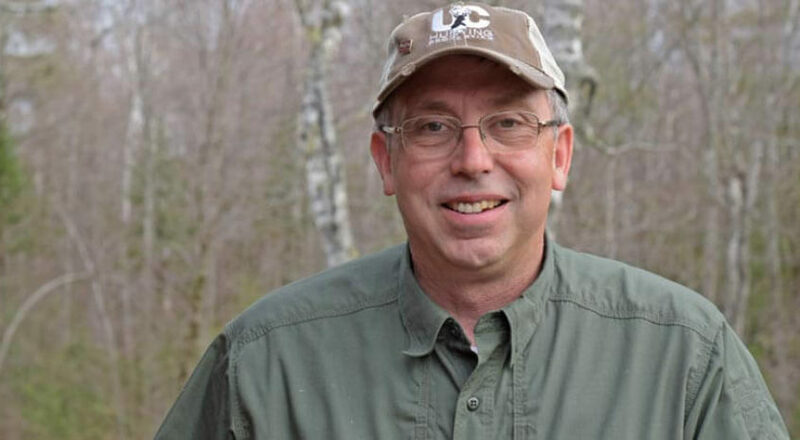 Rick Theriault is a Licensed Maine Master Guide, Endowment Member NRA, Life Member Sportsman Alliance of Maine, Life Member Maine Guides Association, Maine Licensed Associate Broker at United Country Lifestyle Properties of Maine.